Home » Treatments » Curcumin’s treatment and curative role in those with Down syndrome. Curcumin’s treatment and curative role in those with Down syndrome. Recently Western medicine and biomedical science has begun to study the possible biological and therapeutic activities of curcumin. 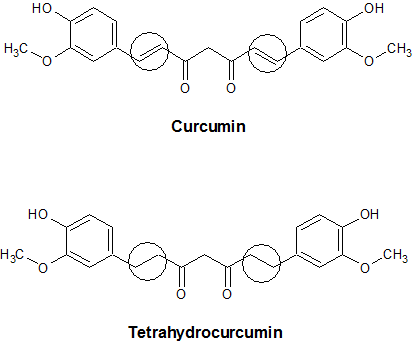 In vitro (in a dish) assays performed on curcumin have shown that is a potent antioxidant. This means that curcumin is able to scavenge and neutralize harmful reactive oxygen species and free radicals. Curcumin is able to decrease the oxidation of LDL cholesterol (the so-called bad cholesterol). The oxidation of LDL cholesterol is part of the disease process in atherosclerosis. In addition, the free radical scavenging ability of curcumin may protect against neurodegenerative processes that affect the brain and the retina. Curcumin also seems to have an anti-inflammatory action in vitro (in a dish) and in vivo (in the body).1;3 The molecule down regulates cyclooxygenase-2 (COX-2) and inducible nitric oxide synthase (iNOS) and inhibits the production of tumor necrosis factor-alpha (TNFα). All of these molecular effects work to reduce inflammation. In fact, NSAIDS and other over-the-counter anti-inflammatory drugs are COX inhibitors. Further, researchers are trying to identify compounds that can affect iNOS and TNFα as future anti-inflammatory drugs and related medications. The anti-inflammatory properties of curcumin have been demonstrated in animal models of inflammation as well. There are ways to induce inflammation in laboratory animals—curcumin has been able to block this inflammatory response. Curcumin has shown positive results in animal models of pancreatitis, rheumatoid arthritis, and ulcerative colitis. Curcumin may help in asthma and inflammatory lung diseases as well. A growing literature seems to indicate that the Indian spice derivative may be able to inhibit cancer cell growth, even at the stage at which a normal cell turns cancerous. In patients, curcumin helped improve rheumatoid arthritis symptoms in a randomized, controlled trial. Another trial in patients with anterior uveitis (inflammation of the front part of the eye) showed that curcumin could improve visual acuity and other associated symptoms. Studies in patients have been favorable in pancreatitis, arthritis, and various gastrointestinal disorders. In a few clinical trials, curcumin appears to have a modest protective effect in certain cancers namely pancreatic, cervical, and esophageal. On clinicaltrials.gov, the US database of clinical trials, there are 40 registered trials examining the effect of curcumin in various conditions. There has been great interest in the effect of curcumin on various neurological diseases, mainly those which would be considered neurodegenerative.5 A neurodegenerative disease is one in which nerve cells (neurons) die or the connections between them (synapses) are lost. Since neurons are not replenished at anywhere near the same degree as cells in other organs of the body (twenty years ago researchers believed they did not replenish at all), cells that have died cause various neurological deficits. The neurological deficit caused by the neurodegenerative disease depends on the region of the brain that loses neurons. Since neurons that die are lost more or less permanently, most scientists are looking for treatments that protect against neurodegeneration. Part of the destruction that occurs in the brain during a neurodegenerative disease occurs because of abnormal protein aggregation (collection), inflammation, and destructive oxygen molecules and free radicals. Alzheimer’s disease is typified by the collection of amyloid proteins and neurofibrillary tangles. Parkinson’s disease causes collections of a protein called α-synuclein and makes dopamine neurons susceptible to oxidative stress (and die). Huntington’s disease also causes protein aggregation and cell destruction. Curcumin is an attractive choice for study in neurodegenerative diseases since it is known to block protein aggregation as well as act as an anti-inflammatory and antioxidant. It has the ability to promote the clearance of beta-amyloid protein in mouse models of Alzheimer’s disease and may limit the toxicity of this protein on brain cells. Similar effects have been shown to a limited degree in Parkinson’s disease as well. Simply put, curcumin is very safe. Even at doses as high as eight grams (8,000 milligrams) the side effects of curcumin are mild. There have been some unwanted effects in animal models and in vitro (in a dish). For example, curcumin was shown to increase fragmentation of DNA which would make it a potential mutagen (causing genetic mutation); however the dose at which this effect was seen may not have any relevance to human use. Curcumin may inhibit the effect of some chemotherapy drugs. On the other hand, the molecule actually potentiated (improved) the effect of some cancer chemotherapy drugs, too. Safety studies of curcumin have been very favorable, especially compared to most prescription pharmaceuticals. While the laboratory, preclinical and limited clinical trial data on curcumin appear to be remarkably positive, there is an issue that is conceded by virtually all people that study this natural molecule. The difficulty with curcumin is that when it is taken orally, the amount that is absorbed by the gut is fairly low, even when 10 or 12 grams of nearly pure curcumin is administered.6 This is troubling when you consider that in order for patients to enjoy the health benefits of curcumin, it needs to be present in the blood in sufficient quantities. Another problem with curcumin that is taken orally is that it runs into the blood-brain barrier. While the blood-brain barrier protects the brain from all sorts of harmful chemicals and infections, it also makes some drug treatments ineffective since they cannot penetrate to the place where they are needed. The standard molecule of curcumin has this blood-brain barrier problem.7 Not only is it poorly absorbed and has poor bioavailability, curcumin does not seem to cross the blood-brain barrier very well. Longvida curcumin – better bioavailability and blood-brain barrier penetration? Because curcumin does not seem to reach blood and brain concentrations needed to cause the health benefits seen in lab studies, researchers at UCLA have developed a formulation of curcumin to help with absorption (other labs are working on similar processing in India8 and in Japan9). While the process is patented and information on the product is limited, essentially curcumin is wrapped in fatty acids and other materials to make it more soluble and protect it from metabolism in the liver. Therefore it crosses the gut, survives breakdown by the liver and putatively crosses the blood-brain barrier more easily. A commercially available preparation of curcumin that has been optimized and combined with a fatty carrier is called Longvida curcumin. When given to animals, Longvida curcumin achieved 11-fold higher concentrations in the plasma (blood) and 4-fold higher concentration in the brain compared to curcumin that was not optimized.7 Longvida curcumin is a product of Verdure Sciences of Noblesville, IN. In theory, though, any preparation of curcumin that can cause it to achieve high doses in the blood and brain is a significant improvement over natural curcumin. In fact, it can be argued that unmodified curcumin may not be able to achieve many of the health benefits seen in in vitro (in a dish) studies if it is not modified in some way—the plasma and brain levels are just too low. As is mentioned by the UCLA group that helped develop Longvida curcumin, eating curcumin with a fatty meal would likely improve absorption of the molecule into the body. Whether it would improve curcumin’s ability to cross the blood-brain barrier is another matter. Although in regions where curry and turmeric (and by extension curcumin) are eaten on a regular, daily basis, the rates of Alzheimer’s disease are lower than in non-curry eating countries. This would suggest that dietary curcumin, when prepared and consumed with fatty meals, helps brain absorption. While there are at least 40 clinical trials (enrolling and completed) that examine the role of curcumin in various diseases (and the safety of the molecule in humans), there has not yet been a clinical trial looking at curcumin in Down syndrome. However, anecdotal evidence suggests that curcumin may help people with Trisomy 21. Parents and caregivers of people with Down syndrome have been reporting good and even dramatic results of curcumin in this disease. Blogs and testimonials report an improvement in language function, memory, and cognition. Unfortunately, while the available information about curcumin as an antioxidant, anti-inflammatory, and neuroprotectant is promising (assuming blood and brain concentrations are high enough), the ability of these actions to influence Down syndrome is not as clear, based on current information. There is simply too little information currently available to make strong recommendations about the use of curcumin in Down syndrome at this time. However there are some studies that make its use rather promising. First, since it is an unfortunate consequence of Down syndrome that many of those afflicted eventually develop Alzheimer’s disease (and at an early age), any treatment for Alzheimer’s disease is of obvious importance in Down syndrome. Since many of the changes that take place in Alzheimer’s disease take place earlier in patients with Down syndrome, taking a natural product that can delay or prevent that disease progression can sustain memory and cognitive function. Second, a few small laboratory studies have shown that curcumin may improve memory and cognition and promote the growth of cells in the brain. In animals models of Alzheimer’s disease, mice performed better on tests of learning and memory when given curcumin.10 In a separate study, curcumin was able to stimulate the production of cells in the hippocampus, the brain region that is involved in forming new memories.11 Curcumin was shown to promote neurogenesis (new formation of neurons) and synaptogensis (new formation of synapses).12 All of these changes could be extremely beneficial in Down syndrome. Some of these findings may help explain why people are seeing some benefit in loved ones with Down syndrome. Your question about the fatty meal and the blood versus blood-brain barrier question is superb. It gets right to the heart of the issue and is something that was not appropriately addressed in the JPET paper. In truth, the fatty meal approach is best for helping absorption across the gut and raising plasma levels. It may also work to aid in getting it across the BBB, but to a lesser extent. Since people in India have a lower Alzheimer’s Dz rate, the argument is that curcumin must be getting into the brain somehow. It is a weak argument, but the best we have. The real way to get stuff across the BBB is to change the molecule itself (without reducing the biological activity). The Longvida approach is not really any better than the fatty meal approach except that the Longvida curcumin is definitely riding in fat whereas the fatty meal approach is slightly more random. Dissolving the curcumin in a fatty liquid like milk is an excellent idea for two reasons. It may help with the taste and increases the chances that curcumin is dissolving into the fat. I would use whole milk (4% milk fat). As far as concentration, I could not hazard a guess about proportion of milk to curcumin. Curcumin is good for dad, too, so if you were trying to see the maximum amount of curcumin that can be dissolved in milk and still taste okay, you can give it a try. Also, as you know, your child will give you immediate feedback if it tastes bad! The goal is to get about 2 grams (2,000mgs) of curcumin per day. Unfortunately it is always very difficult to determine what should and should not be used to treat Down syndrome. There are so few things that help in the disease and medical treatments have failed to produce results that they have in other disorders. It also seems that medical science moves frustratingly slow when it comes to studying new therapies and treatments. Another factor that has slowed the scientific study of curcumin is that there is no real ability to patent the molecule. As a result, private investment in curcumin research is unenthusiastic since the financial reward for all of the research and development would be small (nevermind that it might help cure human disease). Therefore research into the health benefits of curcumin is dependent of federal and non-profit research funding. Despite limited funding, the number of scientific papers of curcumin is impressive. Sadly, though, the studies of curcumin in Down syndrome are non-existent. Searches of PubMed and clinicaltrials.gov return no studies or trials. Therefore conclusions about curcumin are based on the successes that people have been kind enough to share with others and by extrapolating the results found in other, related diseases. When you combine these two pieces of information, it is still difficult to make a strong statement. What can be said with confidence is that the potential health benefits of curcumin are extremely promising. If even a few of its many functions turn out to be possible at concentrations that are attainable in the plasma, it will be a wonderful addition to medical science (which is somewhat laughable since it is an ancient therapy). It is also a safe molecule for humans, even when taken at very high doses. Certainly more anecdotal reports are needed regarding its effect in many diseases, including Down syndrome. In fact, a clinical trial would answer so many fundamental questions. At this point, though, it may be a bit premature to advocate the use of curcumin in the treatment of Down syndrome, based on the knowledge we have thus far. On the other hand, since it is very safe and may be effective, why not try it? The only answer would be financial. The cost of curcumin preparations vary, but for ones that have enhanced bioavailability, like Longvida curcumin, the cost can be as high as 60 cents per dose. While this is not as expensive as most prescription drugs, it is not inexpensive, either. While parents would spare no expense to improve the lives of their children, they want to spend their money on something they know will work. Also, what dose should be used to help in Down syndrome? At this point it is anyone’s guess. Since it is there are no clinical trials in Down syndrome, one has to guess at a dose from those used in other diseases and hope for the best. It may require doses as high as two grams (2,000 milligrams) of curcumin per day or higher in order to see a benefit. With medications like Longvida, which are curcumin wrapped in a microparticle with other materials, the actual milligram dosage is about five-fold different (i.e. 1,000 milligrams of curcumin are in 5,000 milligrams of Longvida curcumin). Curcumin may help improve cognition, memory, and language in Down syndrome. There is too little scientific information to know this with any real certainty, however. Curcumin is likely to be safe, even at high doses and in kids, so the risk of side effects is small if you choose to use it. If you do choose to begin a treatment with curcumin, discuss this with your physician. Also, use a dose of curcumin that is likely to show some benefit. Special preparations like Longvida curcumin are better for absorption and bioavailablity than regular curcumin supplements; however, the same effect may be possible by preparing and consuming curcumin with a fatty meal. Be realistic in your expectations about the drug and be critical of its effect. Do not be too quick to attribute some change in behavior or performance to curcumin if you are not sure that the ability was not present before you started the drug. Perhaps your doctor can provide you with a neuropsychological test that can be administered before treatment begins and after a certain period of treatment to see if there is an improvement. If curcumin does not work for you after a reasonable amount of time, stop using it and save your money for other supportive care or treatments. (1) Bengmark S, Mesa MD, Gil A. Plant-derived health: the effects of turmeric and curcuminoids. Nutr Hosp2009;24:273-281. (2) Ringman JM, Frautschy SA, Cole GM, Masterman DL, Cummings JL. A potential role of the curry spice curcumin in Alzheimer’s disease. Curr Alzheimer Res 2005;2:131-136. (3) Jurenka JS. Anti-inflammatory properties of curcumin, a major constituent of Curcuma longa: a review of preclinical and clinical research. Altern Med Rev 2009;14:141-153. (4) Egan ME, Pearson M, Weiner SA et al. Curcumin, a Major Constituent of Turmeric, Corrects Cystic Fibrosis Defects. Science 2004;304:600-602. (5) Cole GM, Teter B, Frautschy SA. Neuroprotective effects of curcumin. Adv Exp Med Biol 2007;595:197-212. (6) Vareed SK, Kakarala M, Ruffin MT et al. Pharmacokinetics of Curcumin Conjugate Metabolites in Healthy Human Subjects. Cancer Epidemiology Biomarkers & Prevention 2008;17:1411-1417. (7) Begum AN, Jones MR, Lim GP et al. Curcumin Structure-Function, Bioavailability, and Efficacy in Models of Neuroinflammation and Alzheimer’s Disease. Journal of Pharmacology and Experimental Therapeutics2008;326:196-208. (8) Yadav VR, Suresh S, Devi K, Yadav S. Novel formulation of solid lipid microparticles of curcumin for anti-angiogenic and anti-inflammatory activity for optimization of therapy of inflammatory bowel disease. J Pharm Pharmacol 2009;61:311-321. (9) Takahashi M, Uechi S, Takara K, Asikin Y, Wada K. Evaluation of an oral carrier system in rats: bioavailability and antioxidant properties of liposome-encapsulated curcumin. J Agric Food Chem 2009;57:9141-9146. (10) Pan R, Qiu S, Lu DX, Dong J. Curcumin improves learning and memory ability and its neuroprotective mechanism in mice. Chin Med J (Engl ) 2008;121:832-839. (11) Kim SJ, Son TG, Park HR et al. Curcumin Stimulates Proliferation of Embryonic Neural Progenitor Cells and Neurogenesis in the Adult Hippocampus. Journal of Biological Chemistry 2008;283:14497-14505. (12) Kang SK, Cha SH, Jeon HG. Curcumin-induced histone hypoacetylation enhances caspase-3-dependent glioma cell death and neurogenesis of neural progenitor cells. Stem Cells Dev 2006;15:165-174. Written by Michael Todd Sapko MD, PhD, with minor editing by Donald Urquhart.